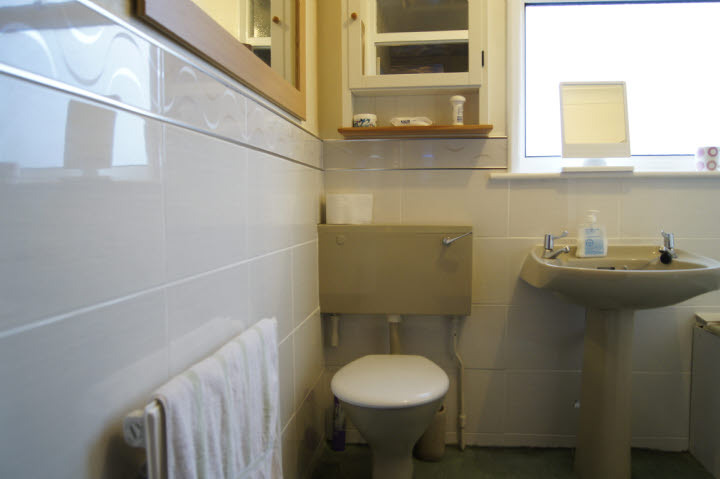 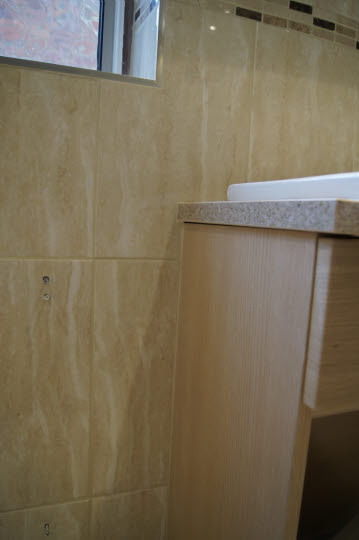 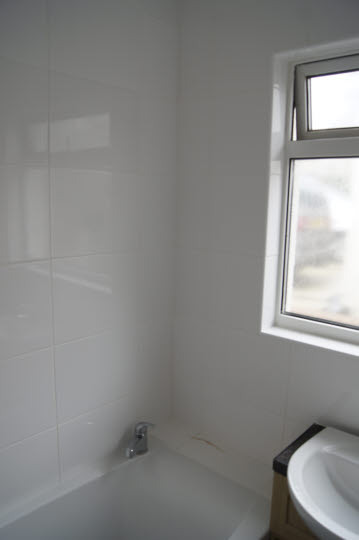 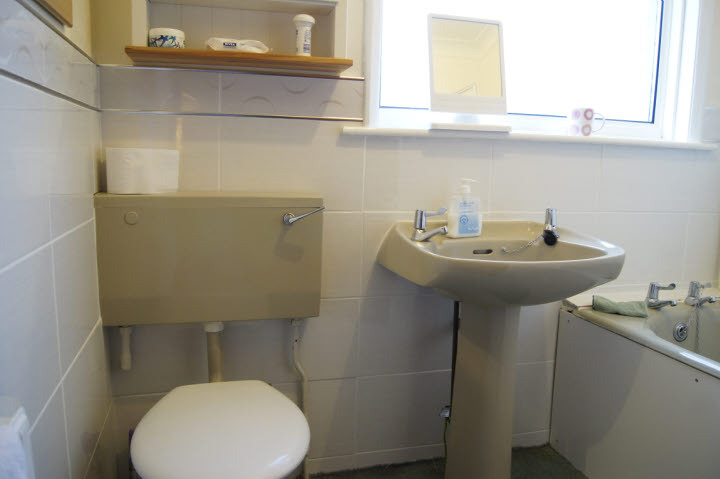 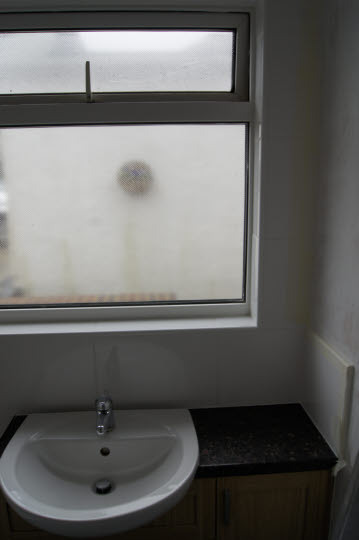 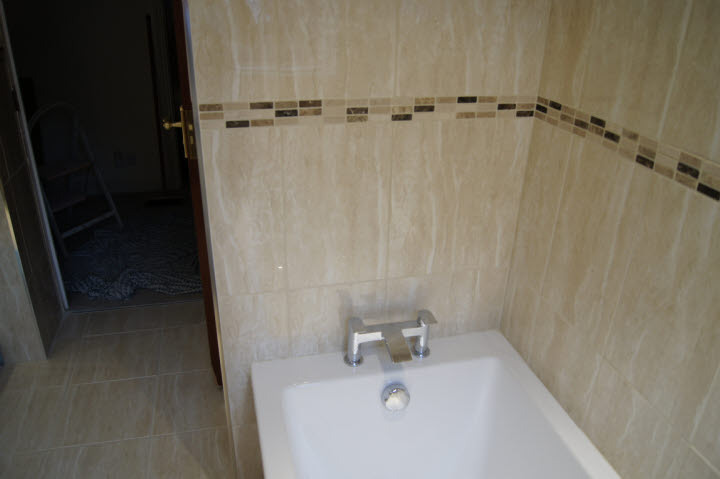 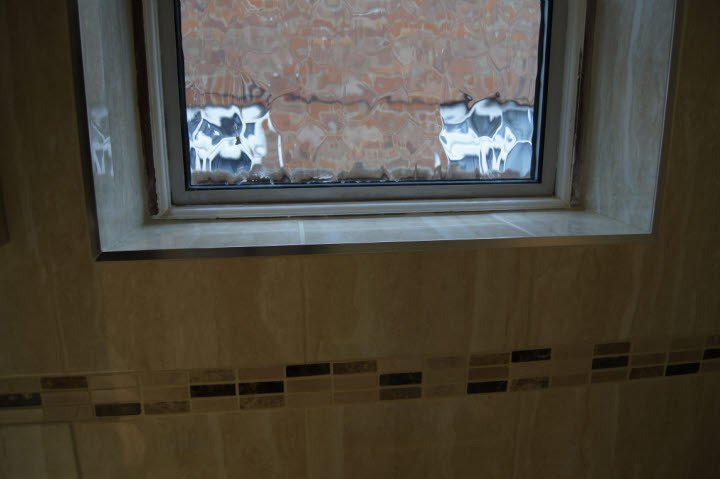 Retile of bathroom with replacement of sink unit work surface. 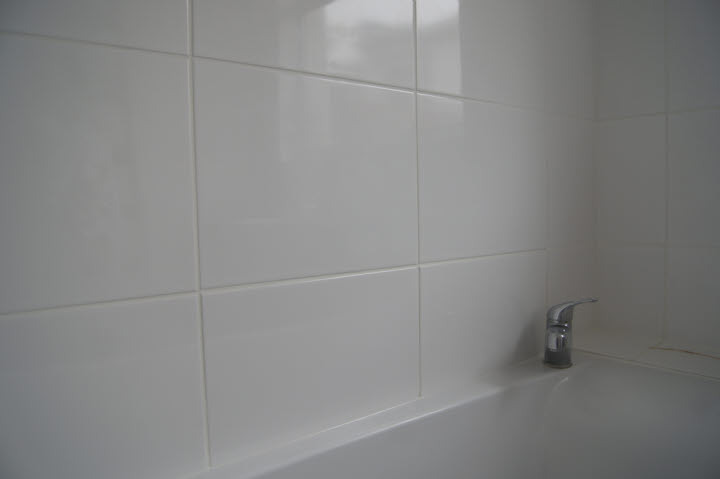 Tiles - B&Q Grout - Bal Brilliant white. 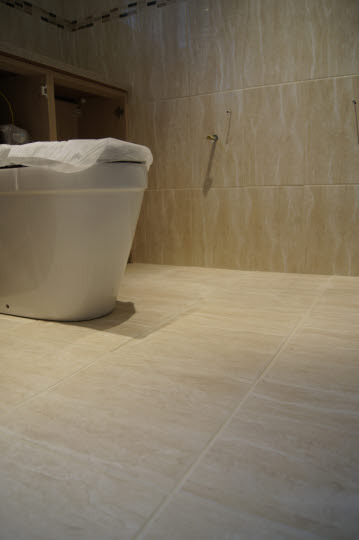 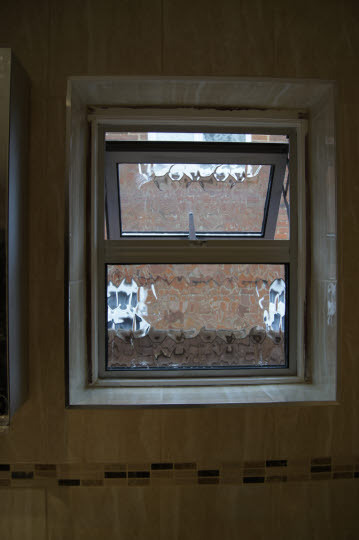 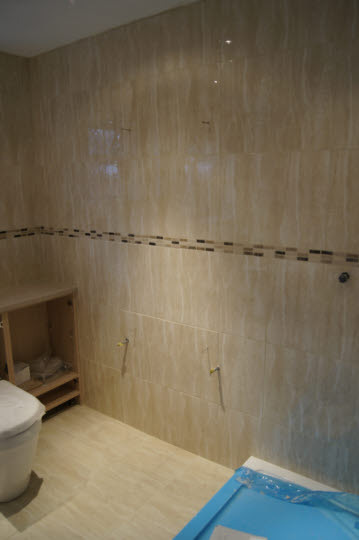 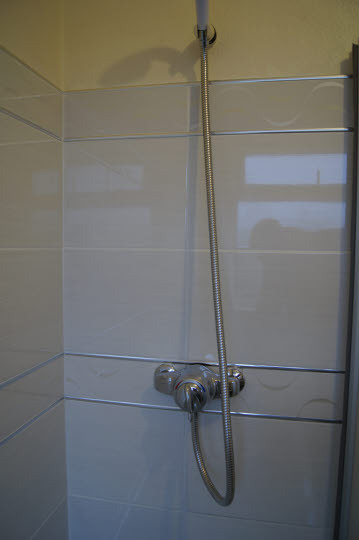 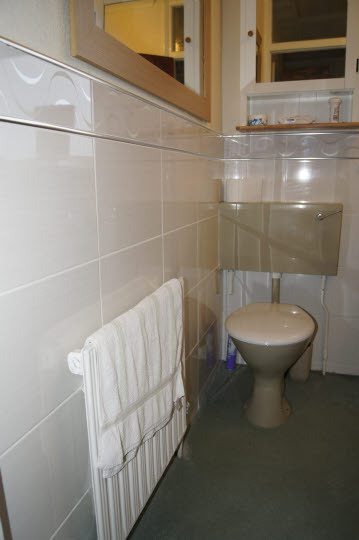 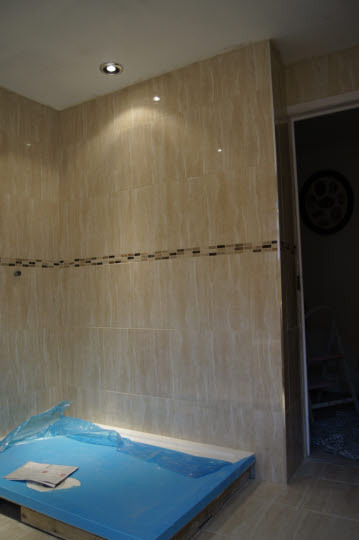 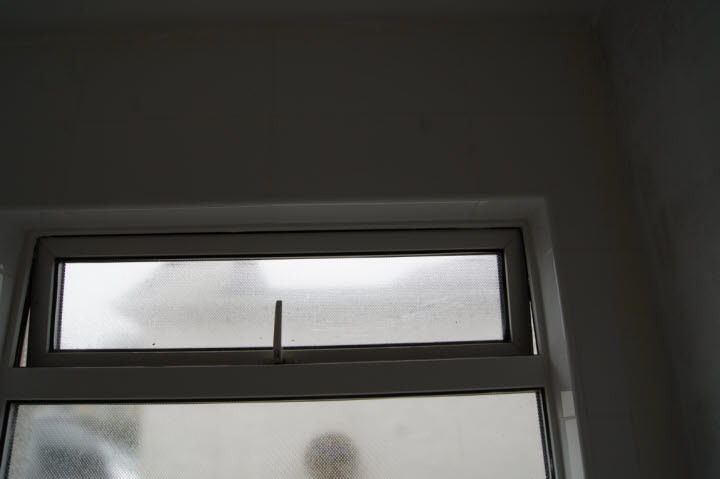 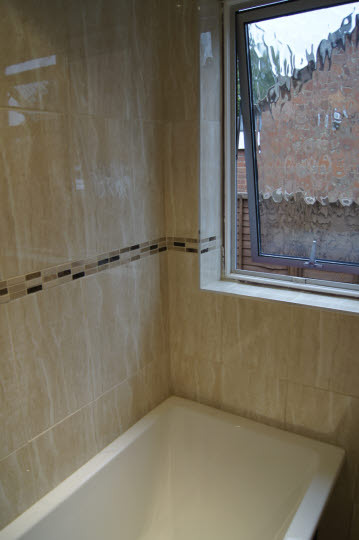 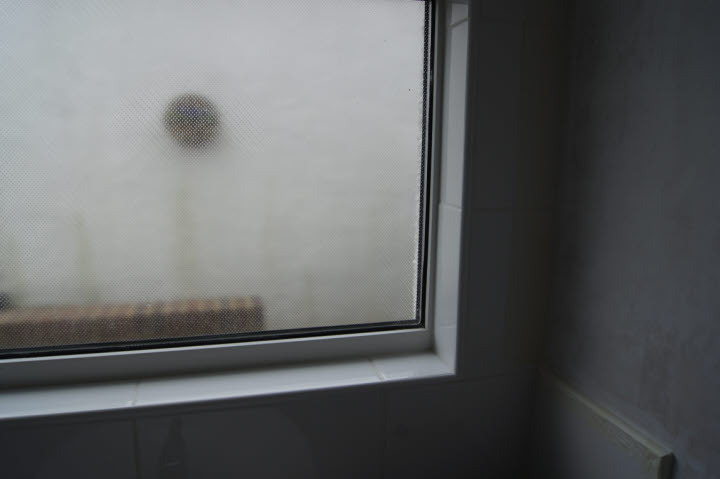 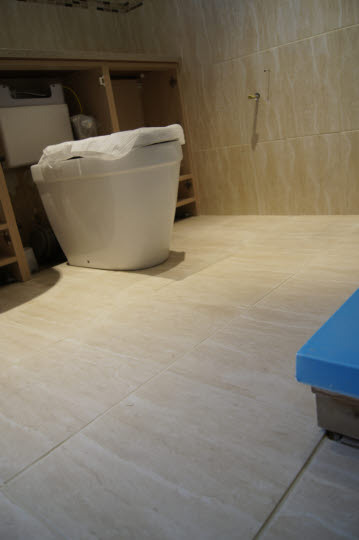 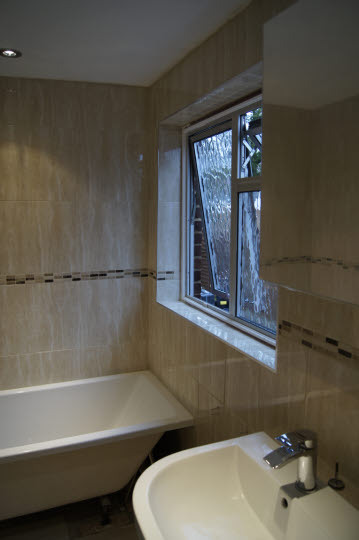 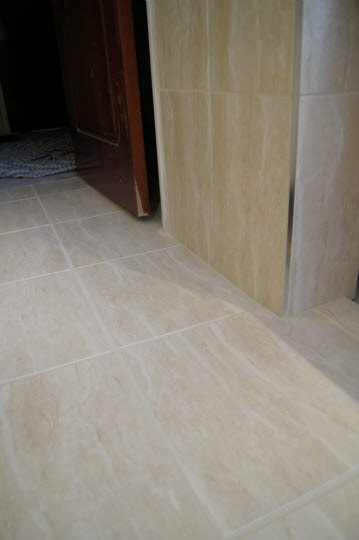 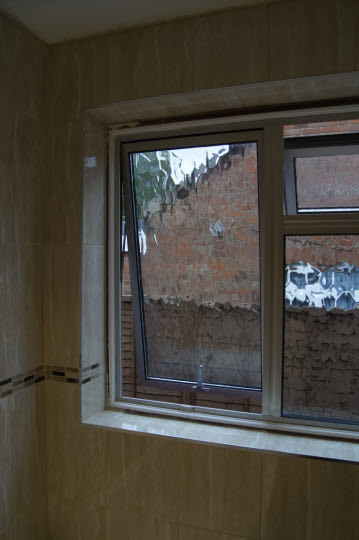 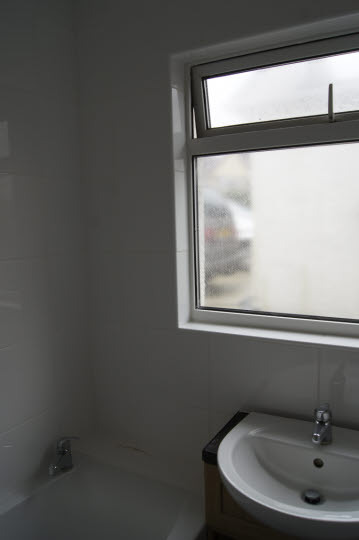 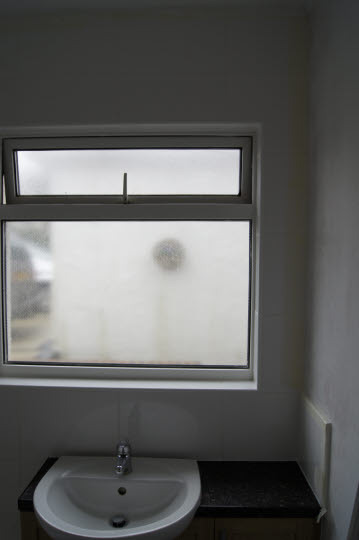 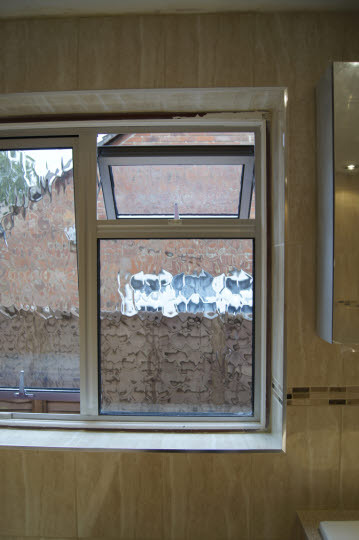 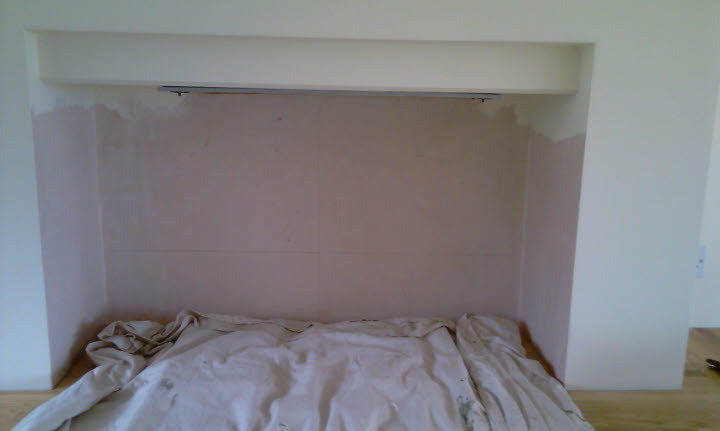 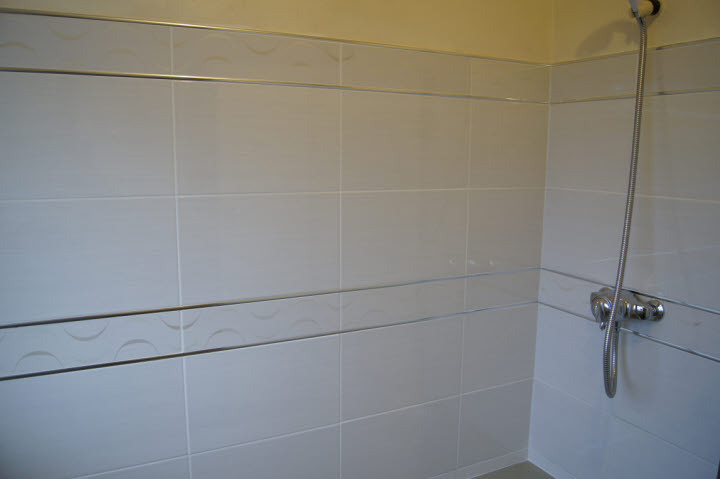 Project:Bathroom, Haywards Heath , West Sussex. 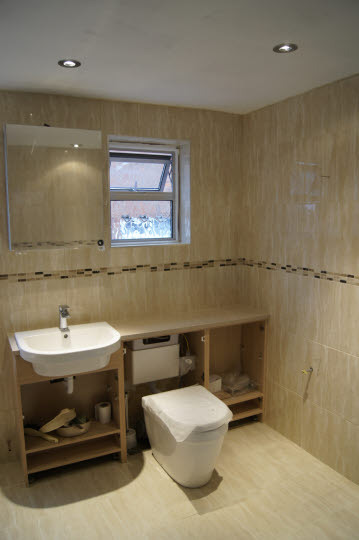 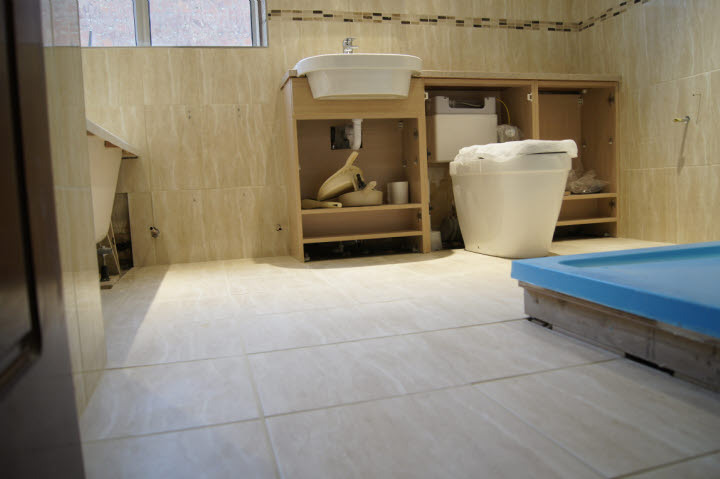 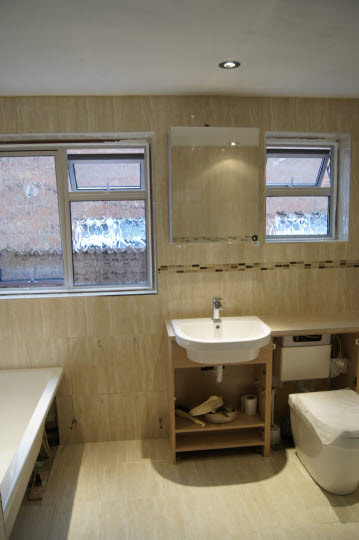 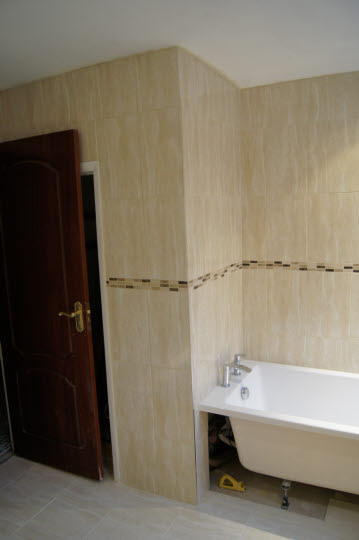 Awarded contract to complete the wall and floor tiling for a bathroom refurbishment. 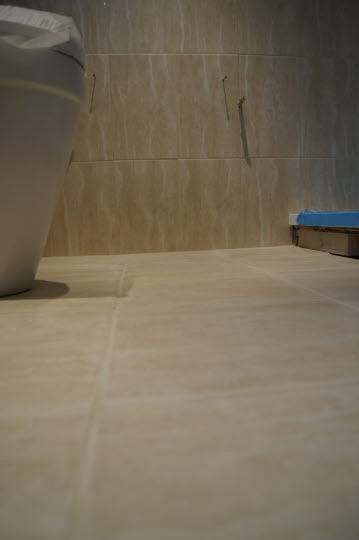 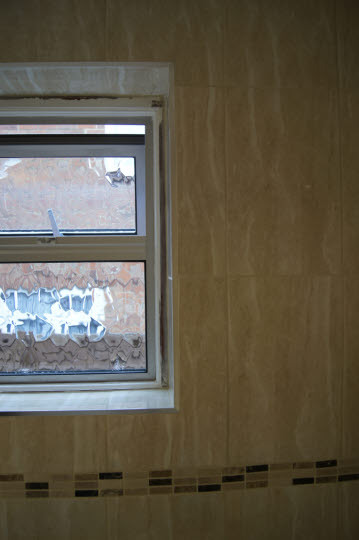 Tiling drilled and cut out for plumbing. 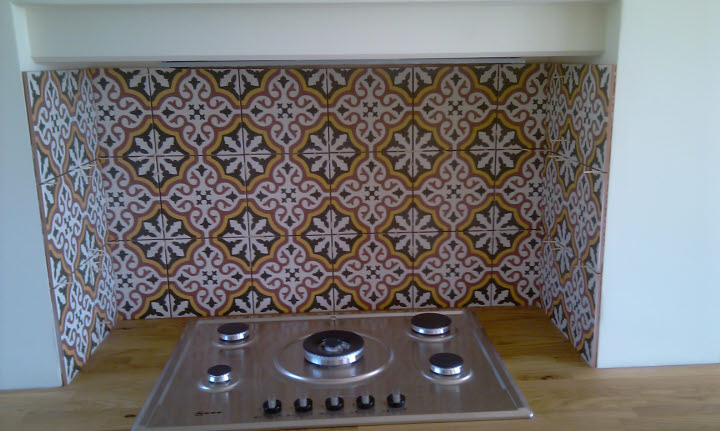 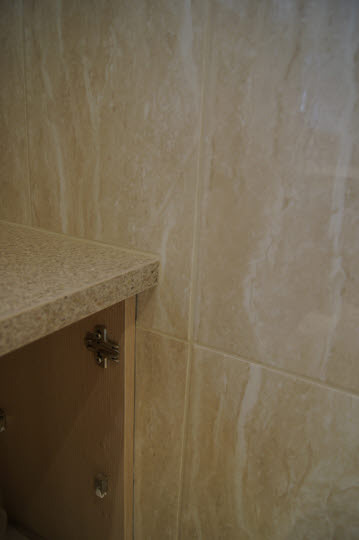 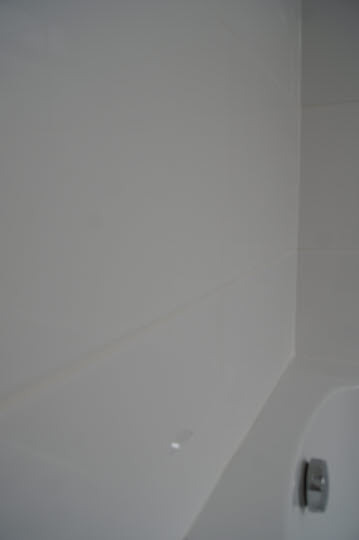 Ti les - Topps Fancy Range Grout - Bal Brilliant white.